This is a recurring theme here as businesses typically jump into Social Media without crafting a strategic plan rooted in goals and objectives. 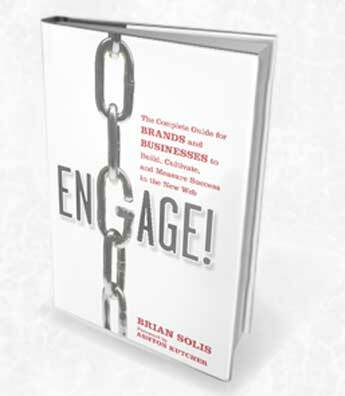 Nor do companies weigh the impact of engagement on the brand itself as social media champions, depending on the department in which they reside, typically monitor and engage in conversations that typically would lie outside of its domain. MarketingProfs conducted a survey of business-to-business (B2B) and business-to-consumer (B2C) marketers and the results are worth revisiting as they typify a basic view of the opportunities rife within the social Web. Examining these numbers and more importantly, the social media programs currently employed, will help us innovate and evolve. Surveys are an effective way to garner feedback to continue to earn ongoing relevance. Surveys can range from satisfaction levels, behavior around the prospect or act of referrals, votes towards new policies and services or simply used for entertainment. At the very least, surveys inject variety into the Facebook stream to foster new opportunities for engagement and communication. It should not go unsaid that this activity goes against Facebook’s Terms of Service. But with limited and hierarchical functionality of Fan Pages, creating a branded profile is one worthy of consideration. The interaction that fosters in profiles is radically different that those within Fan Pages. It’s the difference between peer-to-peer conversations and top-down broadcasting. Until Facebook realizes the value of commercial accounts, you must tread carefully. Facebook arbitrarily flags and deletes the branded profile accounts as they’re discovered. In social media marketers experiment with programs that balance demographics, the categorization of people by age group, gender, education, income, etc, and psychographics, the grouping of people by interests, passions, and connections. Believe it or not, there are services that exist today that can mine data on Facebook to help marketers profile prospects. Outside of those services, many marketers also manually examine the individuals within their social graphs to garner insight into new initiatives and potential trends. Facebook applications are not guaranteed to earn an audience simply because they’re created. Users are overwhelmed with options for applications and their adoption of new apps are related more to the activity of their friends than to their allegiance to any particular brand. However, they are not ineffective either. According to the survey, MarketingProfs learned that applications were among the most “successful” tactic used by B2B and B2C companies. I’m a big believer in defining the experience. Eventually users engaged in social networks will click through to something, whether it’s something you shared or a social object they discovered. Where are we sending them? Chances are that they are landing on a message-rich, usually lifeless and generic web page or even worse, the company home page. Essentially we captivate people in a highly interactive and social environment and direct them to a static dead-end where they are left to define their next clicks without a renewed sense of creativity. This tactic, I should mention, was reported as the most common tactic. Targeted CPC (cost-per-click) ads on Facebook are only as effective as the intention and experience to which they’re tied. Many businesses use these ads to increase the number of fans on a fan page or also to promote corporate material. In my work, they have offered a minimum impact on increasing fans and delivered notable results in driving traffic to pre-defined experiences. Marketers claimed that buying ads is among the least effective of the mix. When we think of social media marketing, Facebook and Twitter usually go hand-in-hand. Like Facebook, marketers viewed Twitter as a primary source for generating traffic. As such, most marketers reported using Twitter to send users to marketing Web pages and they seemed to be pleased with the results. 1/2 of all B2C marketers polled reported using Twitter to unearth potential PR problems. As we saw with the now epic Motrin Moms example, a PR problem can materialize at any moment, with little warning. B2B marketers also reported monitoring twitter as part of a proactive crises communications program. I smirked when I read this. The wording is a very specific and perhaps it doesn’t capture the true story behind the opportunity. Suddenly every brand wants to host a Tweetup. While businesses use Twitter-only invite services such as TWTVITE to promote a brand-related Tweetup, hitting only users on Twitter limits the scope of the potential audience. In my experience, I’ve learned that by extending the visibility of the event beyond Twitter to Facebook Events and also services such as Upcoming.org and Eventful, we can appeal to not only a wider audience, but also trigger highly productive and effective social graphs in the process – perhaps more so than possible in Twitter. A question for you though, if a Tweetup is promoted on any other social network, is it still a Tweetup? While this is a shared tactic between PR and customer service, this is a program that requires some form of workflow and process tied to it. It’s very easy to confuse who should respond to which tweets and who already did versus which tweets require response. As you venture deeper into the world of monitoring and responding to negative or hostile tweets, you should note that consumers are learning that taking to Twitter begets a response. And, with every response they earn from brands, they along with others, are encouraged, and as such, conditioned to increase their activity of voicing complaints in a public spotlight. Again, similar to Facebook, we need to redefine the experience. Sending prospects, customers, and influencers to Web 1.0 pages is not an extension of the Twitter culture nor the expectations that define it. I found this to be an interesting survey question. I suppose that if businesses are sharing content in a compelling wrapper that doesn’t employ sensationalism or the equivalent of marketing parlor tricks, then these numbers represent effectiveness. However, if Tweets are rich with gimmicks, then these numbers dictate an alarming trend. As the saying goes, “Fool me once, shame on you, fool me twice, shame on me.” To earn attention nowadays requires a level of creativity that mirrors the methodologies of creative advertising and marketing fused with the grounding of strategic communications and marketing. Attention only continues to thin and therefore requires planning and editorial programming to ensure relevance and appeal. There are many programs that are led by marketing, PR, and customer service that attempt to transform positive tweets into the basis for an advocacy or official ambassador program. As this tactic increases in ubiquity, consumers are getting wise to the power in social media. Like in the aspect of negative tweets, consumers are also learning that while money doesn’t grow on trees, it does grow on tweets. Meaning, consumers expect something for their loyalty. Consider this prior to engaging. As attention spans thin, we realize that there’s an art and science to what we tweet and when. As documented by Dan Zarrella, there are various times and days that reveal when the attention aperture is open and people are amenable to hearing messages and clicking through to shared links. This, my friends, is the true opportunity and challenge within Twitter. We become media programmers, and as such, our content as well as timing and promotion dictate the size of the audience and the resulting activity. Dell paved the way for this category and continues to do so. If you were to read the report, you might believe that they are the exception however. Most respondents claimed that this tactic was among the least effective. Perhaps that’s because many of the respondents didn’t anticipate the needs and drivers of their followers. Dell, among other companies, has learned that there are indeed triggers that engender responses in the form of commerce. What’s more important, consumers are reporting that they follow brands to learn of deals and special offers. And, 64% of consumers reported that they make a purchase from a brand because of a digital experience via a Website, microsite, mobile coupon, or e-mail. In 2010, we are inspiring a new era of socialized marketing and engagement.